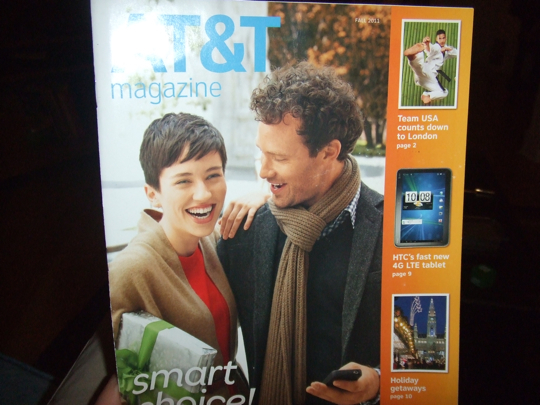 I’ll say that again: AT&T has a magazine. Ok, who’s kidding who? It’s a multi-page advertisement with stories about snowboarding and a crossword puzzle. Nice try, AT&T. Nice try. But I do like the haircut on the woman on the cover. That might be a smart choice. In AT&T’s defense, they do have reasonably good coverage in Seward now (read as: I don’t have to go out on the back porch to have a conversation). But between Seward and Lincoln is still a black hole. Hmmm…Do you think the rumors are true….that squirrels really do run AT&T?